It’s been a very busy February so far. The season has kicked off with all sorts of enquiries including modern wedding looks, clear out Wardrobe Edits and a fresh start to the new trends. But one item, as always, sticks out as so important. 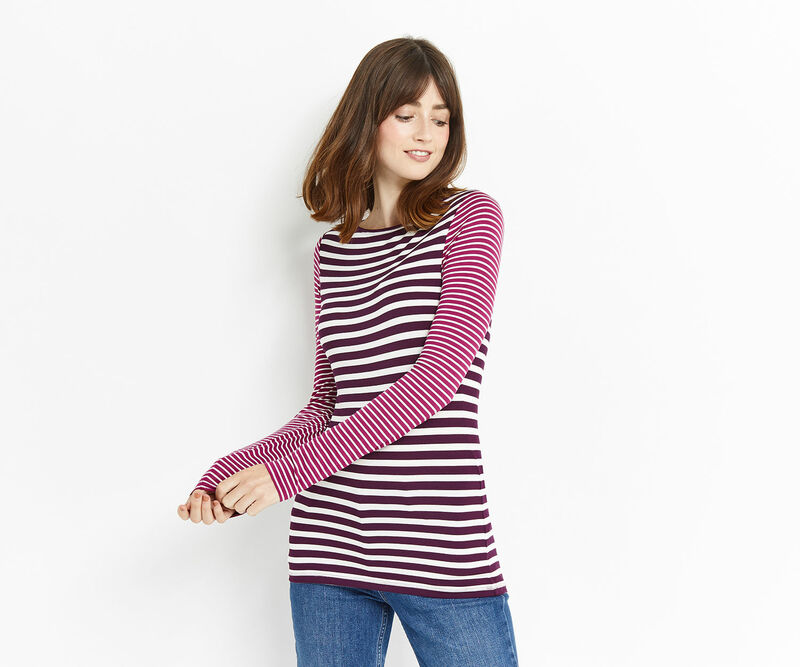 The best t-shirt tops, long sleeved but moving into short soon, and stripes, winning the ‘Most Useful Layer’ at number one. 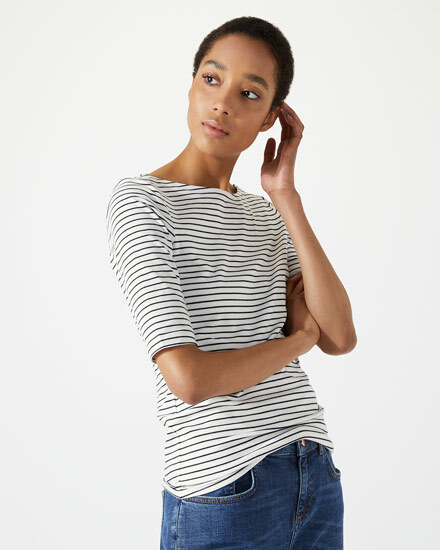 I own a few Uniqlo basics, which I have loved, but I always find I need to go into a store to find what I want, where as on-line it’s a bit confusing. Warehouse and Oasis are also great for basic Ts for price versus quality and I included a couple of these in a recent shop for a client. The weight of the fabric varies from very fine to use as an under layer to a firmer feel for tops that are slim fitting but not clingy, so better to wear as an over layer. 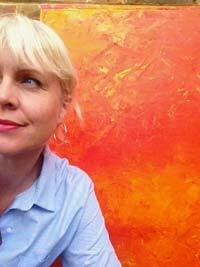 Available with different cuff colours, the shot of vibrance will add unexpected detail under a knit. Washable viscose/elastane. Heavier weight to sit on top of waistbands, the two depth stripe will look great under a jacket. Washable 100% cotton. The two tone stripes and fine fit could easily slip under a dress. Washable viscose/elastane. 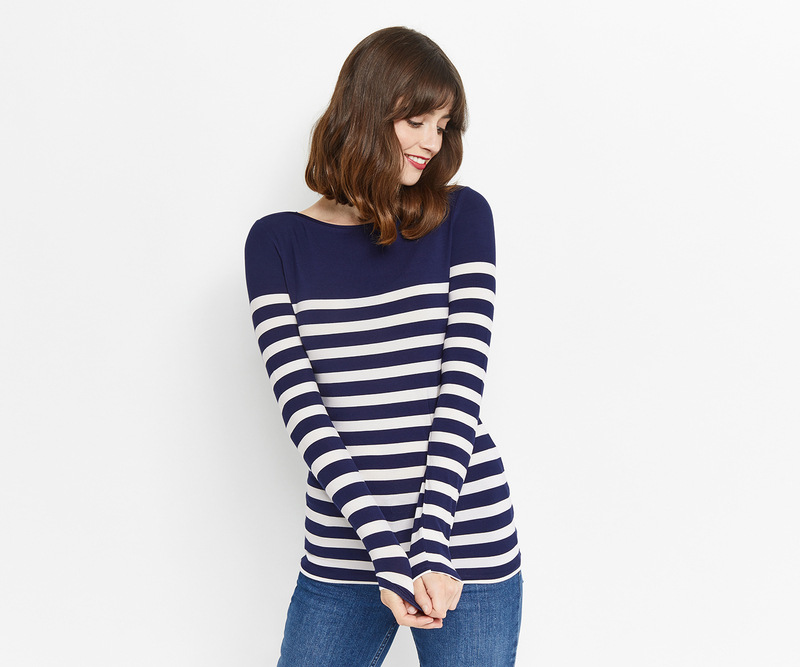 Bolder navy stripes, a great contrast under red knitwear or just with denim. Washable viscose/elastane. 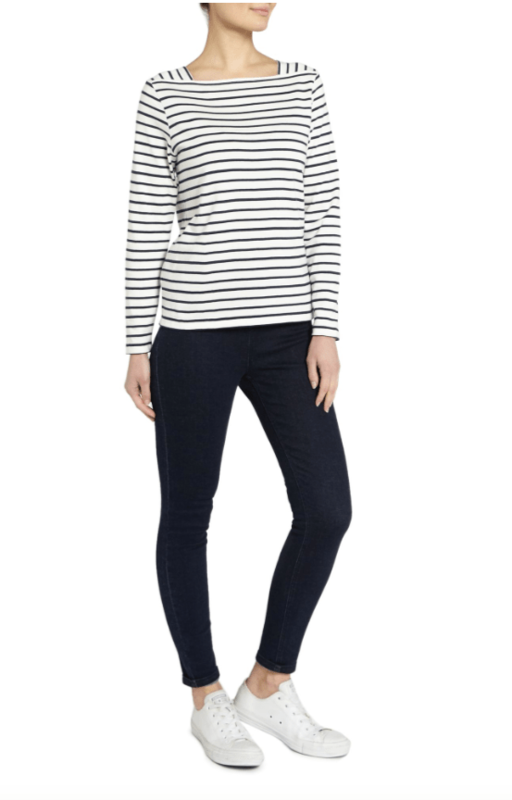 Softer stripes in a heavier weight to wear over not under. Washable cotton/polymide. 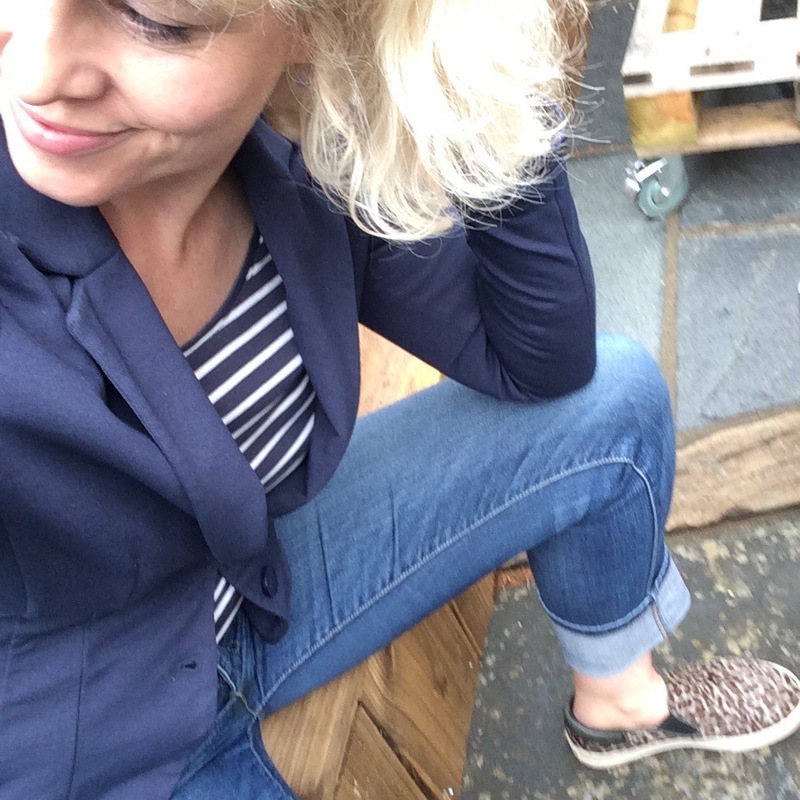 Easy fit with neck detail, a little nautical too. Washable organic Fairtrade cotton. 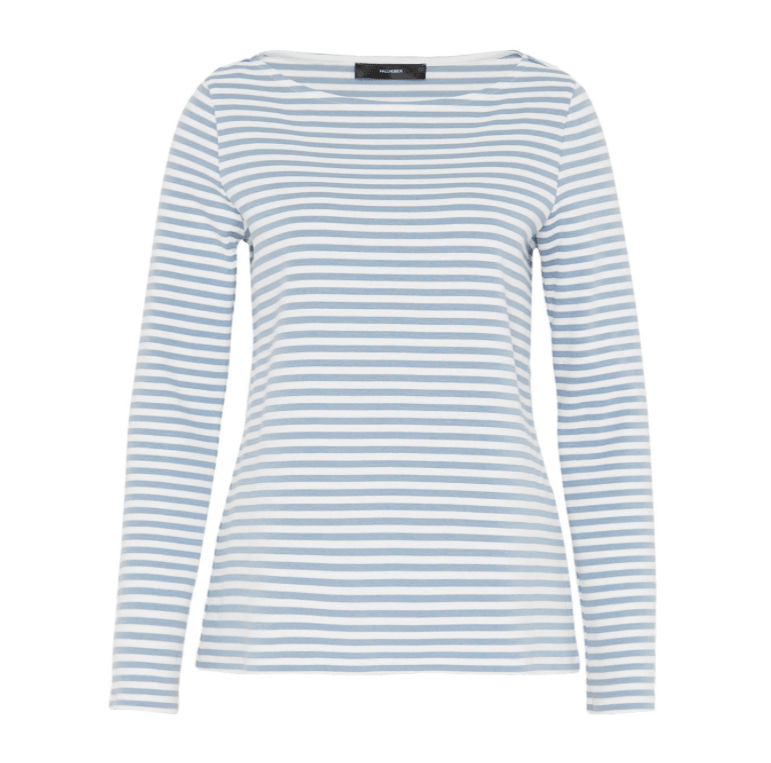 Light weight and delicate, low back and elbow sleeves, perfect for Spring into Summer. Washable cotton/elastane. 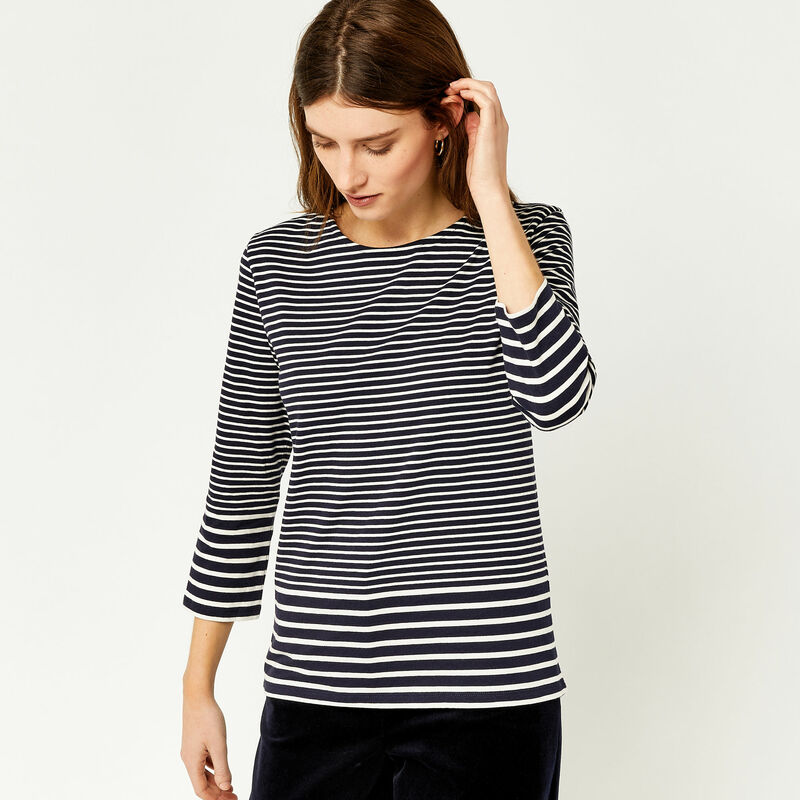 My personal go-to stripy top through the winter and now, is this ultra fine layer from Marks & Spencer (in fact I bought two to rotate). 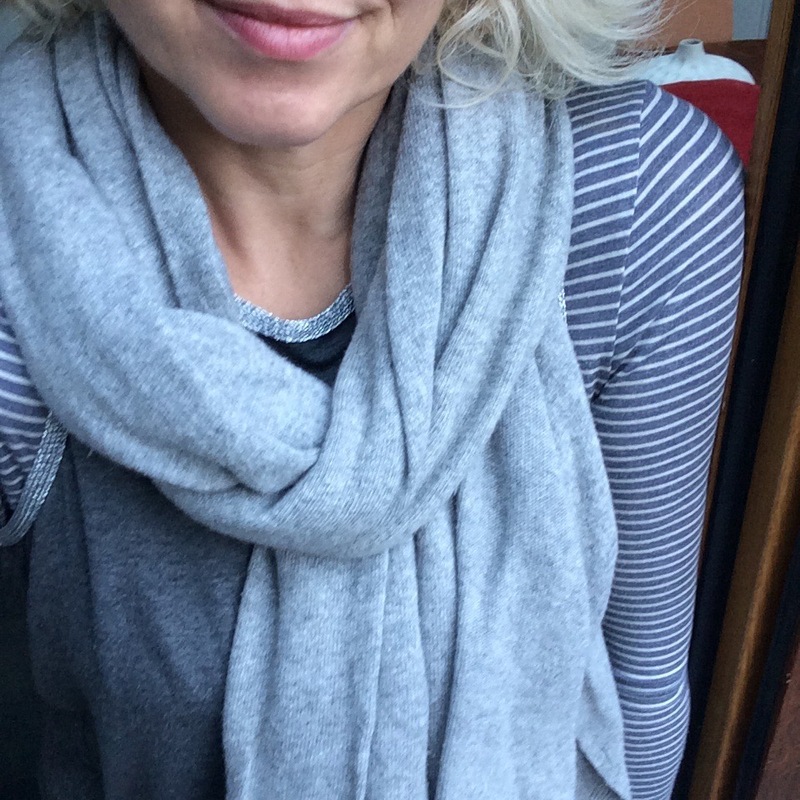 Under jumpers or vest tops its been the perfect colour of slate grey and white stripe (although go up a size as quite snug) – As it’s a mix of acrylic/viscose/elastane, and does feel warm so avoid if going through the flushes. Take a look…as just a couple of these can lift your wardrobe to use as a layer for dresses, sweaters and jackets, peeking out at cuffs and waistlines to say Hey, I’m ready for Spring, bring it on!